“Boho” or “Bohemian” in modern usage is applied to people who live artistic and unconventional lives. The best known examples are the “Bloomsbury Group”, which formed around the Stephen sisters, Vanessa Bell and Virginia Woolf in the early 20th century. Bohémien in French means gypsy, hence the original “Bohemians” are actually travelers or refugees from central Europe. The style itself is very nomadic and spirited. In late 19th century and first half of 20th, Bohemian fashion reflected the lifestyle as well. Basically it’s very free spirited. Since the style itself reflects so much on negligee and a free spirit (one might even connect it with nature), the majority of hairstyles are a variety of braids, updos, beach hair and a lot of hair accessories. Most hairstyles are even heatless, which is a huge plus for our hair. You can never go wrong with braids in this style. A popular look is the braided crown half down. Simple yet very stylish. Vey suitable for various occasions varying from a casual look, suitable for school or going out, beach parties, camping and let’s not forget festivals. These looks can even be spotted on weddings. And the great thing is that it can be done on both long and short hair. 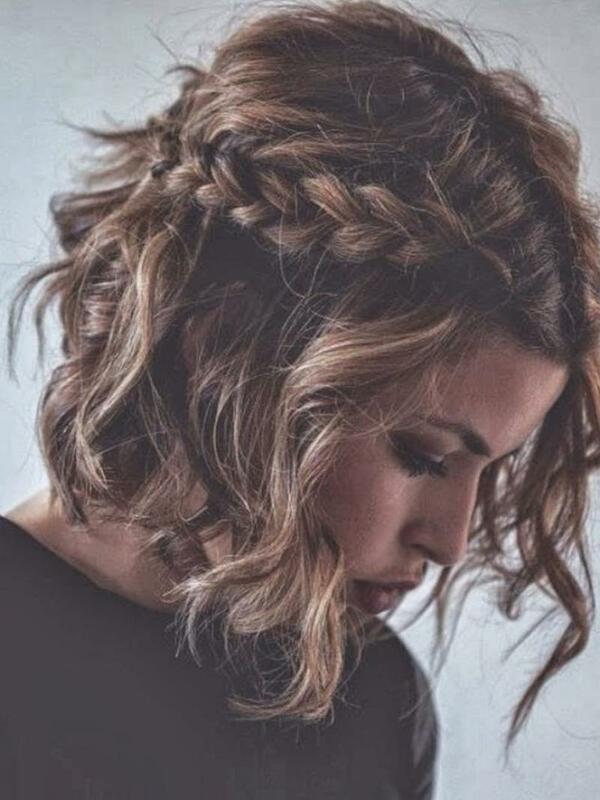 The look is very simple, all you need to do is braid two locks of your bangs and combine them (depending on the length of your hair, they will either meet on the back or you can cross them and hide the ends underneath the braid and pin everything with bobby pins for a more secure result). The rest of the hair you can leave messy or you can loosely curls your hair with a curling iron. Either way, it is a nice way to tame your hair and it will look very beautiful and natural. Recently, updos have gain more and more popularity. They are very trendy and again, are suitable for most types of hair. Again, a very easy hairstyle and absolutely heat-free. It can be either paired with a braid, or with a headband (although the one with the hairband is much easier and quicker to do). All you need to do is braid your hair in two low braids, secure them with rubber bands (it is recommendable to leave a couple of locks to hang loose in the front), then simply wrap them around your head. Then you need to hide the ends of the hair underneath the braids and secure everything with bobby pins. The braids should be loose and messy. This look is easier to do on medium to long hair. The second look is even easier. All you need is a trendy hairband and a couple of bobby pins. 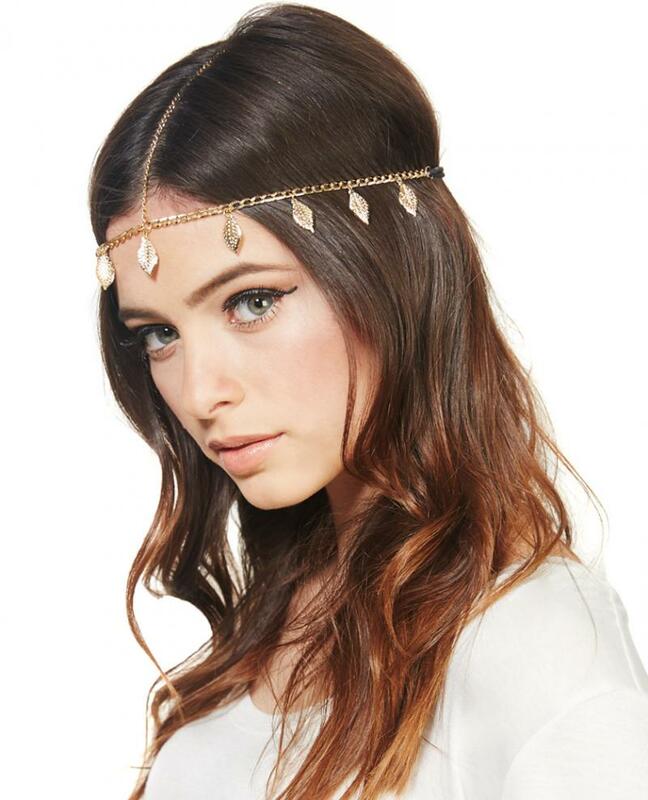 You only need to put the headband on the crown of your head and then start rolling your hair in the headband. For a more secure result you bobby pin your hair into the headband. Again, it will look nicer if you leave a couple of pieces hang loose in the front. 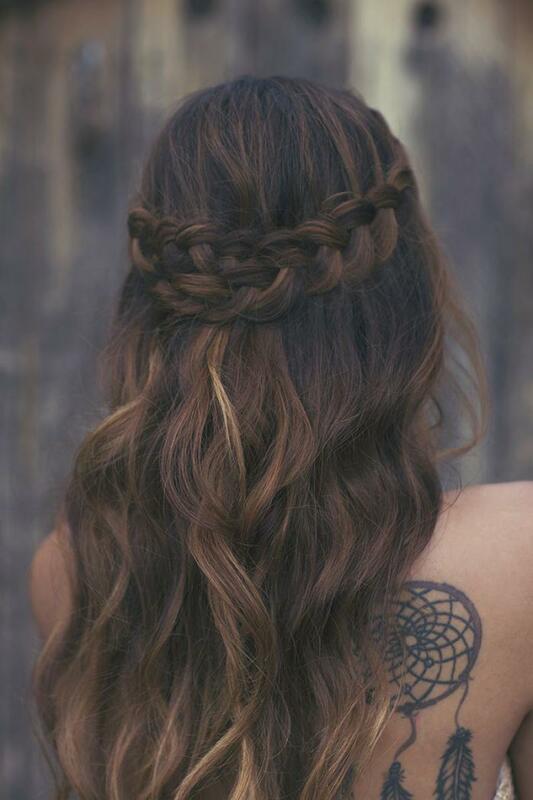 One of the trademarks of “Boho” are lose messy curls. You can go absolutely heatless here if you prefer a messier look. 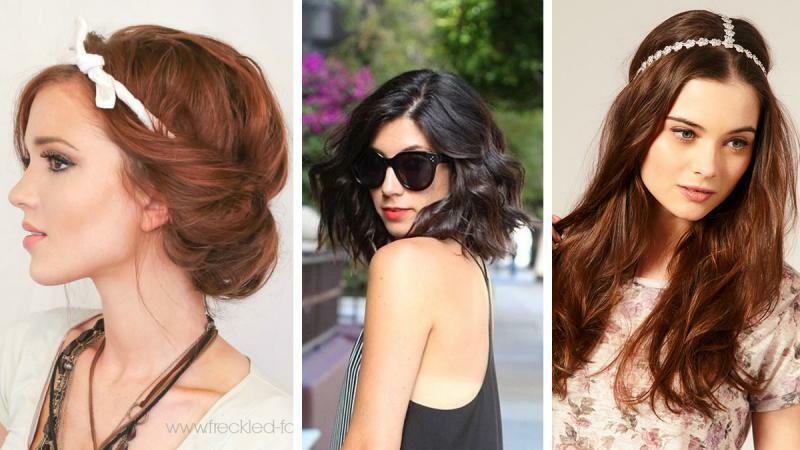 If you have naturally curly hair then this style should be a piece of cake for you. Just wash your hair and let it air dry. If you have straight hair you need to make a bit of effort. You can either apply hair mousse while your hair is damp, then scrunch it up nicely and create these loose beach curls, or you can braid all of your hair into small braids why it’s still damp and unbraid it when it’s dry. Another way is to make small buns while your hair is damp, let them dry, put some hairspray on them and then let them down. But you can always use a curling iron too. You just need to make looser curls and then carefully brush through them for a more natural look. A must-have for every Boho girl. Flowers, Feathers and jewelry. All 3 look absolutely beautiful on any type of hair. The flower headband looks gentle and looks very natural. It practically screams I’m a free spirit. Very suitable paired with a beautiful white dress to complete the look. The feathers give out more of a native, nomad look. The more colorful the better, perfect for a beach look. And the head jewelry is a bit fancier but nevertheless boho. Looks very beautiful on any type of hair. If you like DIY you can always make all three pieces for an even more original look. 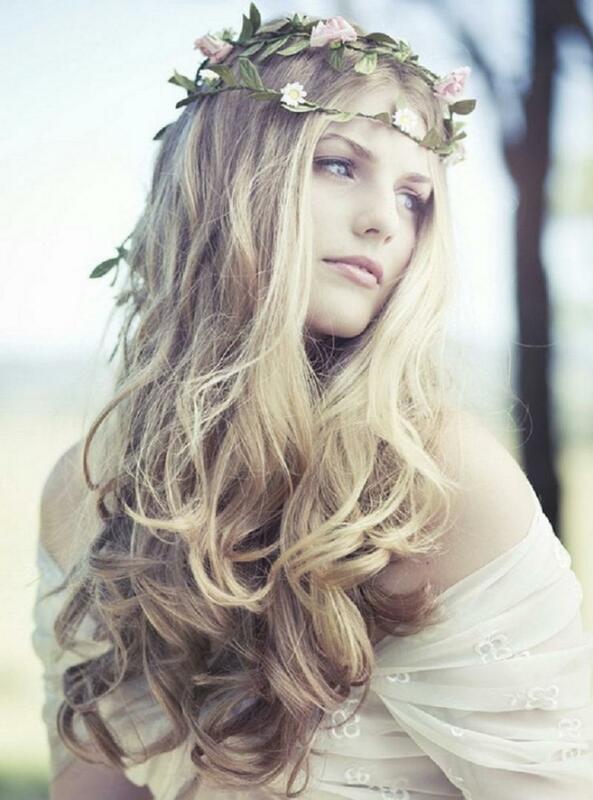 In conclusion, Boho hairstyles look very beautiful and natural. It doesn’t take much effort to do them and most of them are quick and easy. They are suitable for various occasions and you can give your hair a rest for a bit from all the heat and damage. Remember, the messier the better!